NIC-9260PF-LX is a typical model of 1000base-LX Ethernet adapter, based on Intel 82576 Ethernet Controller. This adapter has very high data security, high reliability, stability and compatibility, and it has been widely used in the secure industry, such as prosecution, courts, police and military industrial enterprises etc. represented defense sectors, and gained all customers unanimous recognition. These single-port Adapter provide high-performing, single-port Gigabit connectivity in a multi-core platform as well as in a virtualized environment. In a multi-core platform, the adapters support different technologies such as multiple queues, receive-side scaling, MSI-X, and Low Latency Interrupts, that help in accelerating the data across the platform, thereby improving application response times. The I/O technologies on a multi-core platform make use of the multiple queues and multiple interrupt vectors available on the network controller. These queues and interrupt vectors help in load balancing the data and interrupts amongst themselves in order to lower the load on the processors and improve overall system performance. For example, depending upon the latency sensitivity of the data, the low level latency interrupts feature can bypass the time interval for specific TCP ports or for flagged packets to give certain types of data streams the least amount of latency to the application. Use of multi-port adapters in a virtualized environment is very important because of the need to provide redundancy and data connectivity for the applications/workloads in the virtual machines. Due to slot limitations and the need for redundancy and data connectivity, it is recommended that a virtualized physical server needs at least six GbE ports to satisfy the I/O requirement demands. VMDq reduces I/O overhead created by the hypervisor in a virtualized server by performing data sorting and coalescing in the network silicon.2 VMDq technology makes use of multiple queues in the network controller. As data packets enter the network adapter, they are sorted, and packets traveling to the same destination (or virtual machine) get grouped together in a single queue. The packets are then sent to the hypervisor, which directs them to their respective virtual machines. Relieving the hypervisor of packet filtering and sorting improves overall CPU usage and throughput levels. 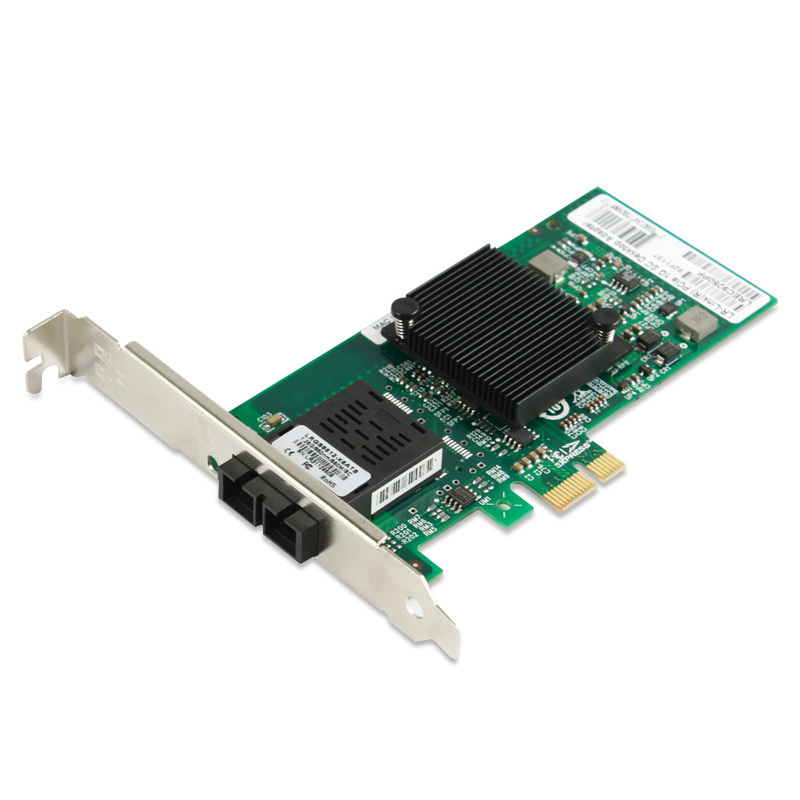 The NIC-9260PF-LX PCIe Gigabit adapter provides improved performance with the next-generation VMDq technology, which includes features such as loop back functionality for inter-VM communication, priority-weighted bandwidth management, and doubling the number of data queues per port from four to eight. It now also supports multicast and broadcast data on a virtualized server. Intel I/O Acceleration Technology (Intel I/OAT) is a suite of features that improves data acceleration across the platform, from networking devices to the chipset and processors, which help to improve system performance and application response times. The different features include multiple queues and receive-side scaling, Direct Cache Access (DCA), MSI-X, Low-Latency Interrupts, Receive Side Scaling (RSS), and others. Using multiple queues and receive-side scaling, a DMA engine moves data using the chipset instead of the CPU. DCA enables the adapter to pre-fetch data from the memory cache, thereby avoiding cache misses and improving application response times. MSI-X helps in load-balancing I/O interrupts across multiple processor cores, and Low Latency Interrupts can provide certain data streams a non-modulated path directly to the application. RSS directs the interrupts to a specific processor core based on the applications address.